Long-anticipated loosening of Polish safety regulations is finally upon us. President Andrzej Duda signed the new legislation earlier this month and by mid-November it will come to force. The new Mass Event Safety Act will facilitate buying/selling a match ticket. Since 2009 to buy a ticket fans had to provide personal data (including address) and photograph to receive a fan ID card. With the card in hand one could buy the ticket (paper or by charging the card), but still had to show their regular ID when entering the stadium. For season-ticket holders it wasn’t too much of a burden, but a one-off visit could end with up to 2 hours of proceedings due to queues on matchday. Now match organizers won’t have to collect photos and personal details of fans, only taking one’s name and personal ID number (passport for foreigners) when selling a ticket. According to data by Ekstraklasa SA (Polish premier league), up to several hundred thousand people were discouraged by complicated entry procedures from visiting Poland’s new stadiums. Now they should feel more welcome. 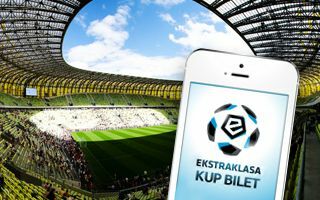 Ekstraklasa SA already announced release of a mobile app that will allow purchase of tickets directly from one’s smartphone to make it as easy as possible. The new act also greenlights introduction of safe standing areas to Polish stadiums. However, there are several restrictions to it. No stadium can offer more than 25% of terracing, all such sections have to be convertible to seating upon demand and one seat can only be transformed into one standing place, which means stadia won’t grow even with vast areas without seating. While many changes in legislation were long overdue, members of parliament decided to abandon any discussion on legal pyrotechnics. That even despite recent poll among PZPN (Polish FA), club officials, police and other authority representatives giving an overwhelming support of 70.5% to legalization of flares in a controlled environment. In fact, the ban on pyrotechnics was expanded also to fans traveling in organized means of transport, like trains and buses. Should police find pyrotechnics in such vehicles, not only the materials would be seized, but people suspected of owning them may be arrested, banned from entering stadiums or even imprisoned. Courts will also be allowed to issue stadium banning orders for offences with no connection whatsoever with football disorders. The judges were given freedom of interpretation as to whether any individual could pose a safety threat during games.